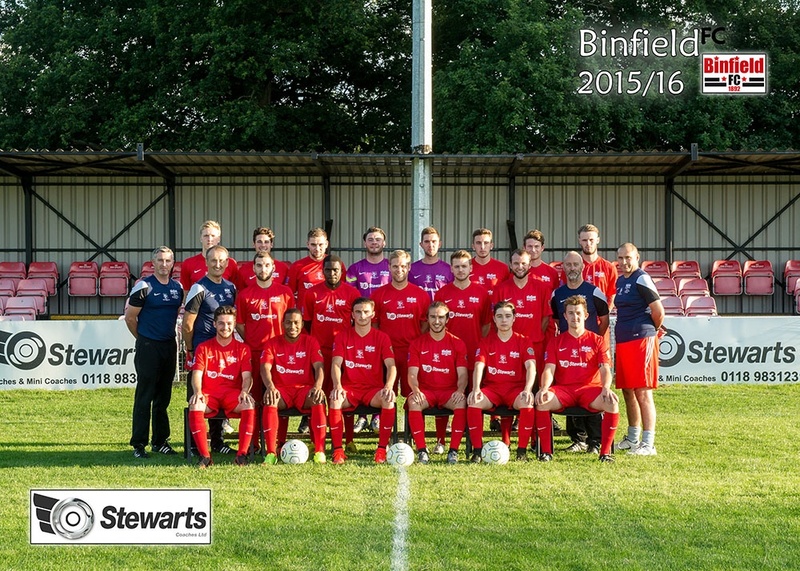 Binfield cruised to victory against a good Brackley Town Saints side thanks to another fantastic first half display. The first quarter of an hour was controlled by the hosts as they settled quicker into their rhythm and had a series of corners in the first ten minutes, which were dealt with well by the visiting Saints. The deadlock was broken on the 12th minute as Eddie Lee broke down the left, did well to stay on his feet under a challenge in the box and slid a ball back across the face of the goal, which was pushed out by the goalkeeper to the waiting James Knight who stroked it home to make it 1-0 to the Moles. The home dominance continued throughout the half, with Sean Moore coming close to adding a second after excellently robbing a Saints defender before charging forward and curling just over and wide. Sean did get his goal in the 22nd minute as he leapt upon a poor back pass from Dan Middleton 30 yards out and calmly lifted the ball over the onrushing goalkeeper and plum into the centre of the unguarded net to double the hosts lead. The game was then all but settled 3 minutes later. A long ball over the top found Eddie Lee, who gathered and cut inside, past the Brackley defence and struck a fierce shot that deflected off of a defender, wrong footing the keeper and beating him at his near post making it 3-0. The game then settled into a rhythm with both sides exchanging possession without creating any meaningful chances. Moore and Johnson both firing from range early in the second half the closest that the hosts came to extending their lead, whilst Chris Grace was forced into a good save from an Alex Stott header that bounced awkwardly high off of the turf. It wasn't until the 85th minute that another goal came. Leonetti hauling down a Brackley winger inside the box, giving the referee little choice but to point to the spot. Baldwin stepped up and fired home powerfully to Grace's left, with him having little chance of saving it. However, it was to be just a consolation goal for Brackley as Binfield continued to defend resolutely and denied them any more real sights of goal. The win moved Binfield up to 11th in the table and set us up nicely for our important FA Vase fixture away to AFC Stoneham.